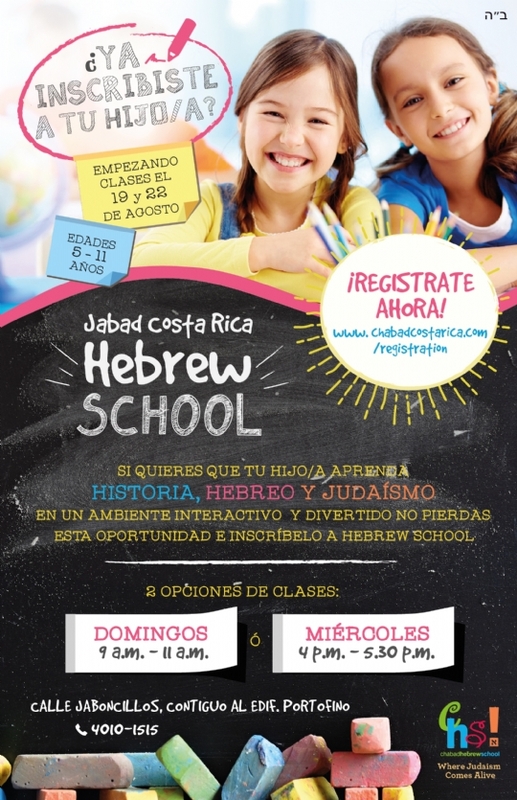 Welcome to Chabad Hebrew School, an exciting and innovative educational program in Costa Rica. Our student body is made up of Jewish children from various backgrounds and affiliations. At CHS we provide students who attend non-Jewish schools the opportunity to learn about their rich heritage. Students also learn to read Hebrew. 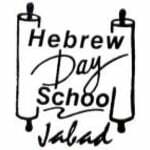 Classes take place every Wednesday throughout the school year from 3:30-5:30 p.m. at the Hebrew Day School Campus. Classes are offered for students aged 4- 10. The cost of the classes is 160,000 colones per semester. Semesters are February-June and August-December. For more information, please reach out to us through our Contact Us page or call Chana at 4010-1616.